As co-founder of Thompson Hotels, along with Larry, Michael, and Jason Pomeranc, Stephen Brandman has developed a boutique hotel group that is known for dishing up contemporary chic luxury in urban settings. 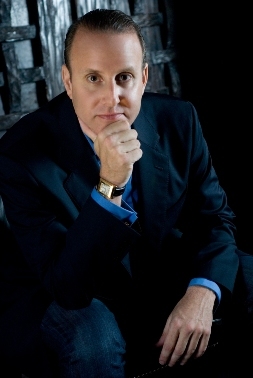 Brandman began his shiny career at InterContinental Hotels and Resorts where he was general manager of InterContinental Central Park South, New York. in the end he spent 16 years with the group and as well as spearheading over $300 million in renovation projects he also ensured the quality and standards for all of the 150 InterContinental Hotels worldwide. This year marks the tenth anniversary of the Thompson Hotels' first foray into the luxury boutique hotel market (Sixty Thompson in 2001). Today the group operates nine hotels in the United States in New York, Los Angeles and Washington D.C. 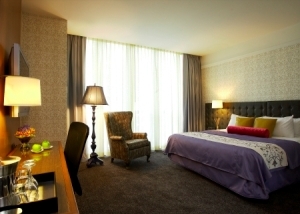 In 2010 the group started going global opening its first international hotel, Thompson Toronto. New international Thompson hotels in London and Seoul will open in 2011 and 2012 respectively. Here he tells The Luxury Travel Bible the philosophy behind Thompson Hotels and why technology is so important for the hotel industry. What inspired you to create Thompson Hotels? My partners and I realized that what was missing in the lifestyle hotel space was hotels that had a vibe but also delivered on service with consistency. We deliver great service consistently. What is the single best/defining thing about Thompson Hotels? Tell us about your new projects such as the new hotel in London's Belgravia. With every property we continue to focus on great design and giving people something they will enjoy the first time they visit us and as well when they visit us on the twentieth time. Technology is very important. So anything you can do to have the guest's stay made easier whether it is ease of reservation or great wifi is important. Luxury is such a strange term as it is very personal...but a great bed and great linens...well to me that's luxury for a hotel. This may sound funny as I love restaurant experiences like Jules Verne and L'ami Louis but hands down best overseas restaurant experience is the grilled fish in Cha Ca La Vong in Hanoi. Oldest restaurant in <st1:country-region w:st="on"> Vietnam</st1:country-region> and by the looks of it it hasn't changed in 100 years but the best fish anywhere on the planet! Cathay Pacific First Class to Hong Kong. Great food and service from the minute you get to the airport. Great lounge in HK and it is simply the best. My carry on luggage - haven't checked a bag in over 10 years. Enzymes and probiotics because who knows what you are eating sometimes.